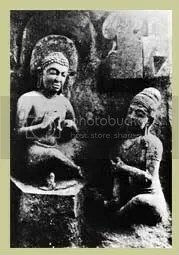 The mountain is called Barkula mountain because Ashin Bar Ku La stopped for awhile on the mountain when he came to Dynyawaddy taking Buddha relics from king Athor Ka of Patalipoat kingdom. On the other hand, it is also called Burpu mountain as Bur Pu ogre lived. Future Gaw Da Ma Buddha lived in the mountain as a barking deer in a previous life of his while he was fulfilling the minor perfection. The name of the mountain is Nithapatpada. 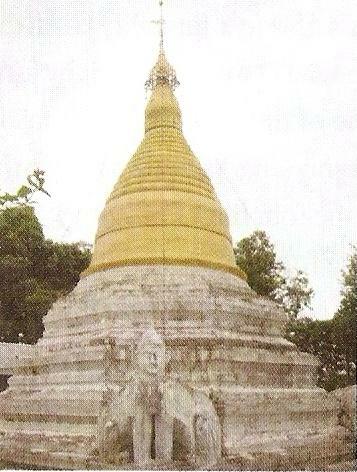 King Thu Ri Ya Sak Ka of Dynyawaddy kingdom erected a pagoda enshrining Thiri relic of Buddha in it after Buddha had gained Parinibbanna. King Min Saw Mon rebuilt the pagoda in AD 1430 as the pagoda fell into ruins. There are still two pagodas built in Mraukoo period and one pagoda built by the townpeople during the British regime.